Podere Patrignone www.patrignone.com is a wedding venue like no other, a charming organic olive farm set deep in the Chianti hills. 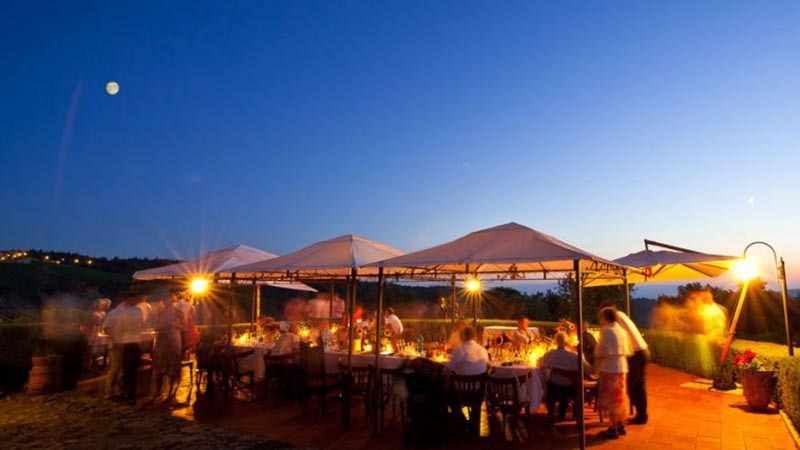 It has 15 beautiful double bedrooms, each with private bathroom, and seating for up to 50 people at their delicious Tuscan Wedding Banquet under the stars. Afterwards, you can join Guty & Simone for a fairy-tale enchanted party in the woods, and dance until until late in the night. The accommodation is spit over 5 apartments, and one large Villa. Each space has a full kitchen, living and dining space. 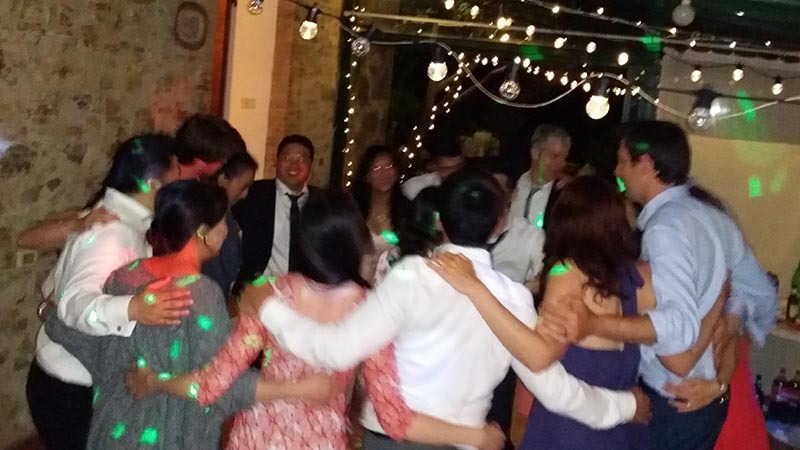 The apartments and the villa can be rented together for weddings, reunions, and family gatherings, or individually for those looking for a peaceful base for their exploration of Tuscany. 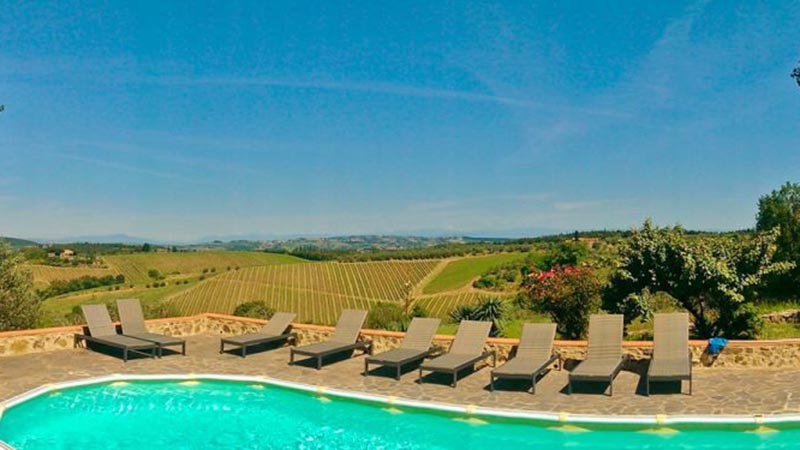 Podere Patrignone is close to Castellina in Chianti, ideally placed for day trips to Florence, Siena, San Gimignano, Pisa, etc. 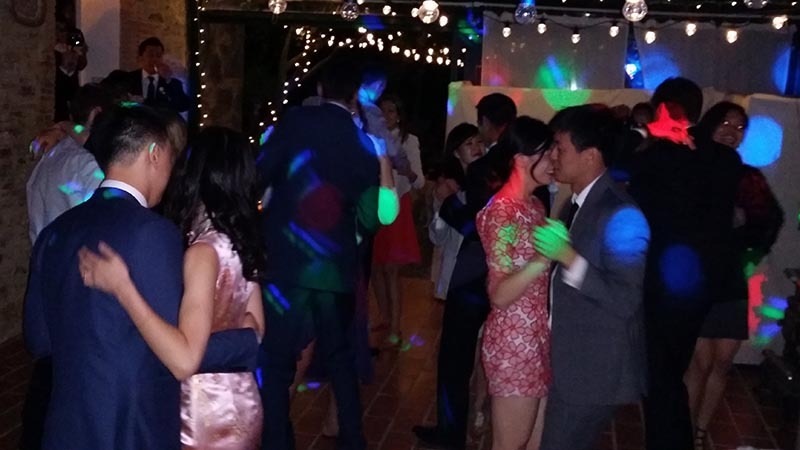 Here’s some pics taken during the wedding reception and party of Harry and Elena from London; the newlyweds and guests had aperitifs and dinner outside in the sunny veranda in front of the Podere villa and then had the wedding party with the LIVE and DJ music by Guty & Simone in the loggia of the main Villa.